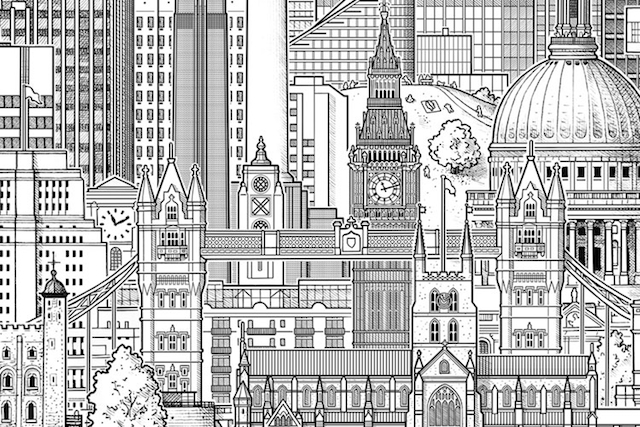 For well over 200 years, the dome of St Paul's Cathedral presided over the skyline of London. Today, it barely registers. 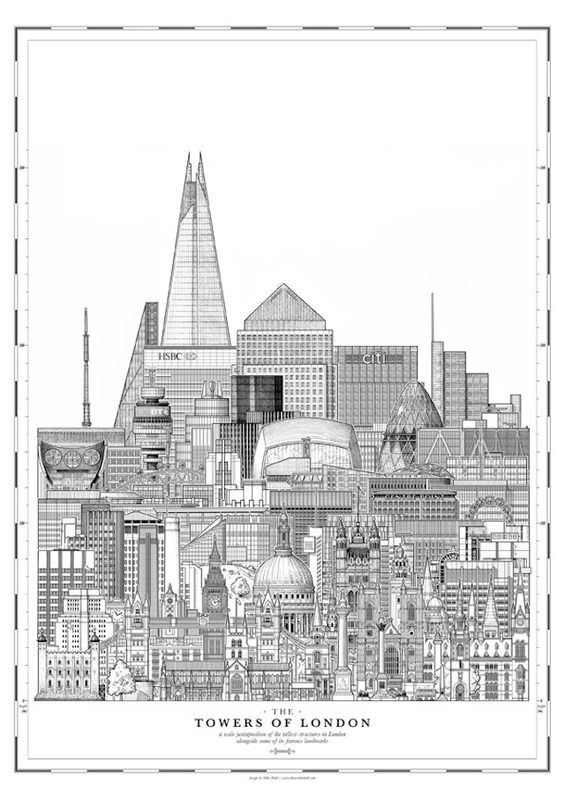 This composite image from Mike Hall pulls together the capital's loftiest peaks, all drawn to scale — from the spires of Christopher Wren to the dominant Shard. 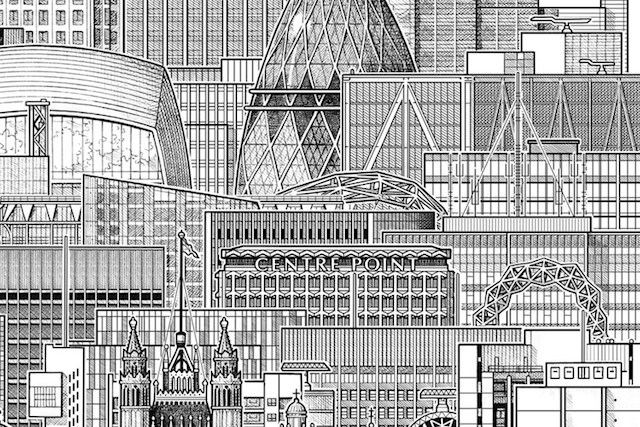 Prints of the illustration are available from Mike's site. 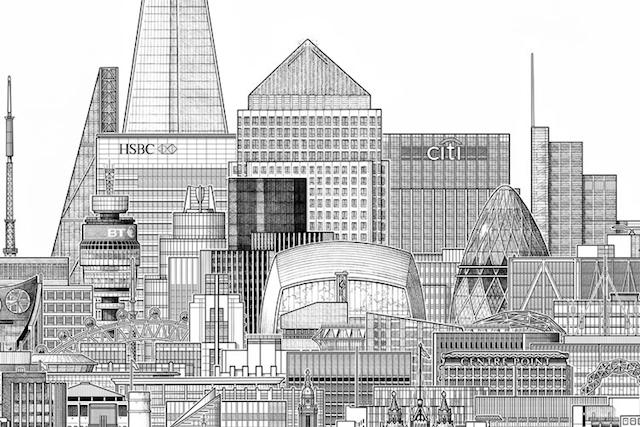 If you like this, check-out Mike's equally brilliant panorama sketch from the top of the Shard.